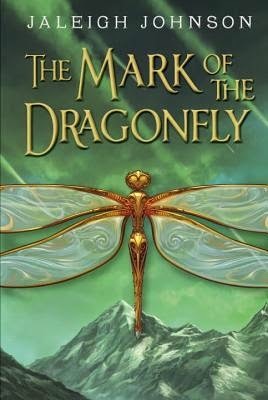 The Mark of the Dragonfly was a fun, entertaining Middle Grade read. I didn't pick it up for the longest time, but Anya convinced me to give it a shot. :) The Young Elites bombed. I was shocked after all the glowing reviews. I have a mini-review on Goodreads if anyone wants the full version, but this pretty much sums it up: "The MC reminded me of Hayden Christensen's Anakin Skywalker." I love the bookmarks! 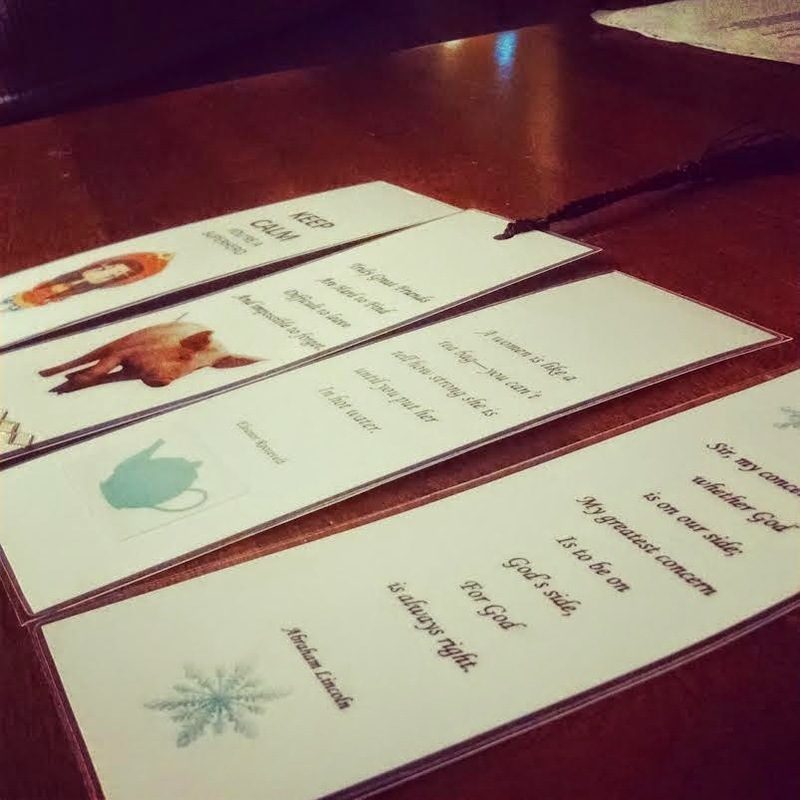 I have been working on some DIY bookmarks for Christmas gifts too :) How did you like The Young Elites? I've been seeing this one floating around the blog sphere; I want it! Oh I'm curious to know what your thoughts were! 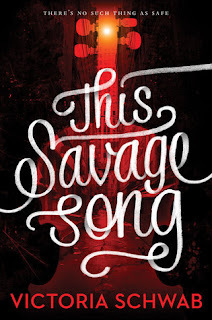 I've read the first two books in Marie Lu's previous trilogy, I forget what the first book was called Prodigy I think? I enjoyed the first book, but the second was forgettable. I haven't read the third yet. Disappointed that her new one isn't very good. Not surprised to hear that THE YOUNG ELITES bombed. 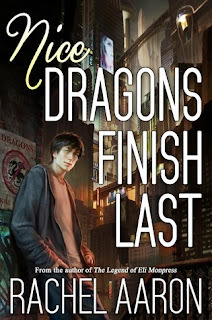 I wasn't all that impressed with Marie Lu's previous series. Seems to just be me. Everyone else has loved it thus far. *shrug* Oh well, onward to other books! 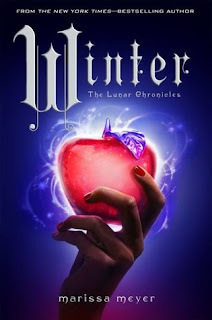 Have you read Lu's previous series? I haven't, but am wondering if it is better than Elites? How is Vision In Silver? 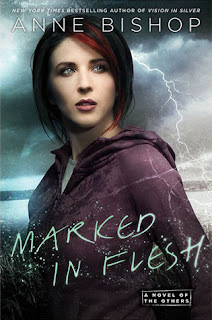 I love Anne Bishop, but haven't started that series yet. Also, those bookmarks are adorable! 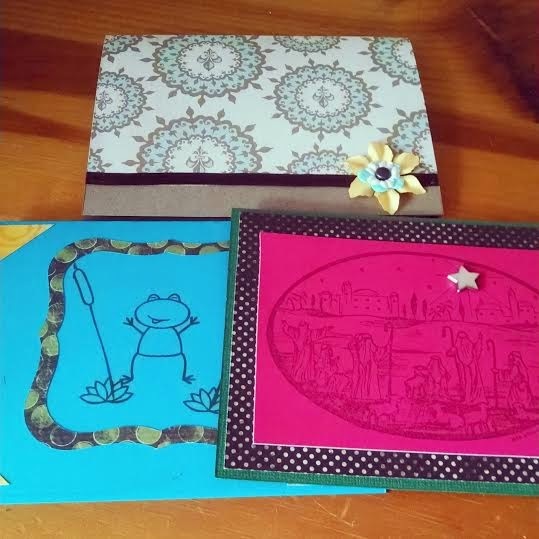 Can't wait to see the cards you made! Hi, Silvara! The Others is the only Anne Bishop series I've read thus far, but I'm enjoying it. 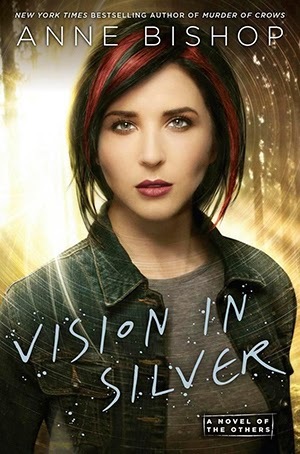 I'm about halfway through Vision in Silver right now and, while it doesn't have as much of the humor I loved in the first book, it's still fun and the characters are great. 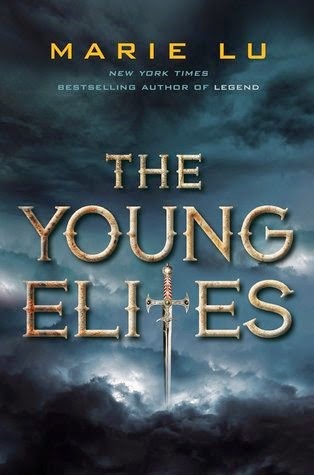 *Cough* Not everyone thought Young Elites was 'all that.' Just saying. That's right! I'd completely forgotten, but you reviewed this one back in...October? You were right, Nathan. It was much less than the hype suggested, though I'm still a little surprised it bombed so spectacularly for me. I love the bookmarks, too! The pig one is adorable. :) What's on the one all the way to the left? It looks like a character of some kind, but I couldn't recognize it (or her?). 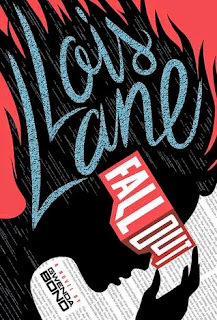 Did you read Marie Lu's Legend series? Just wondering what your thoughts are on that. I picked up the first book Prodigy in October but haven't read it yet. Nope, this was my first Lu book. I never felt compelled to pick Prodigy up before, and I think I'm even less likely to do so now.